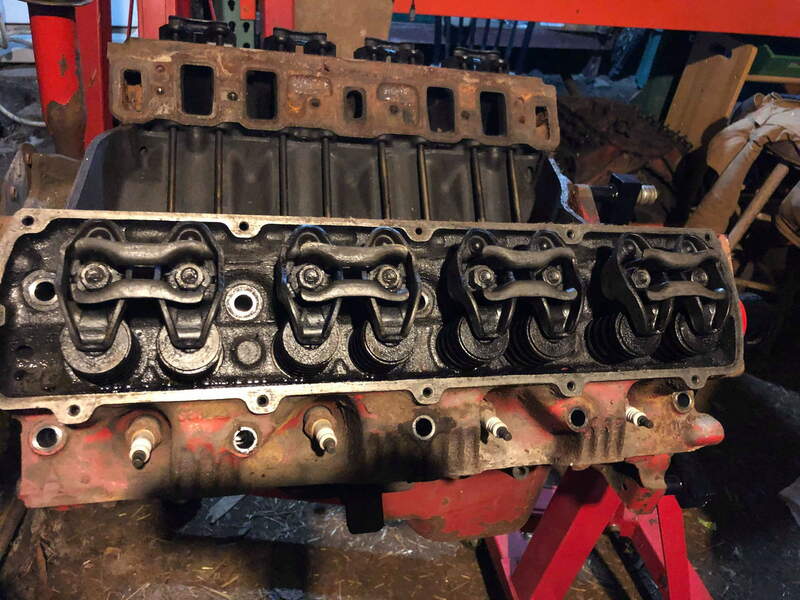 Recently acquired a 1965 425 LC engine, plan on swapping pistons, cam, intake, head work, and rockers, my question is if there is an aftermarket company that makes 1.6 full roller 7/16 stud rockers or if there are some that will work on these heads, it has the original "A" heads, thanks in advance. The A heads are unique in that they have 3/8" studs on the rockers. All subsequent years used 5/16" bolts. If you want roller rockers with 7/16" studs, you'll need to have the heads machined for them. Obviously you'll need guide plates as well. ok now i know what guide plates are lol, And thats understandable, as for the rockers once converted to 7/16 are there aftermarket rockers? The goal is to make decent power and hit some higher rpm's maybe 6000-6500? Last edited by 76Nutless_Cutlass; February 5th, 2019 at 03:04 PM. Sorry im new to the BBO world, guide plates? And thats understandable, as fir the rockers once converted to 7/16 i could use any old oldsmobile roller rockers? The goal is to make decent power and hit some higher rpm's maybe 6000-6500? Guide plates have nothing to do with a BBO. Stud mount rockers need something to keep them from spinning around side-to-side. Any engine with this arrangement uses guide plates and hardened pushrods. And sorry to be brutally frank here, but your posts give the impression that you really don't understand what it takes to build a motor like that. First, you're not going to turn any BBO to 6500 RPM and have it live very long without MAJOR work and money into the bottom end. The valvetrain is the least of your problems. A far better course is to figure out what your goals are (HP, torque, street vs drag, etc) and then map out an engine build AND the rest of the car to get there. RPM isn't the first thing you should be worried about. Given the torque that a BBO makes, you can shoot for lower RPMs and gear the car accordingly. Good luck.